1See dealer sales consultant for stackable rebates and availability and eligibility of discounts provided by the manufacturer. Some rebates and discounts may not be available or be combined based on factory programs which change constantly. 2Dealership discount taken from MSRP. Please contact dealership for inventory availability and discount rules. Some discounts may not be combined with factory discounts/rebates/incentives. Offers subject to expiration at end of each calendar month. Get behind the wheel of the all-new Cadillac ATS Coupe at our Tucson store and experience a quality ride. 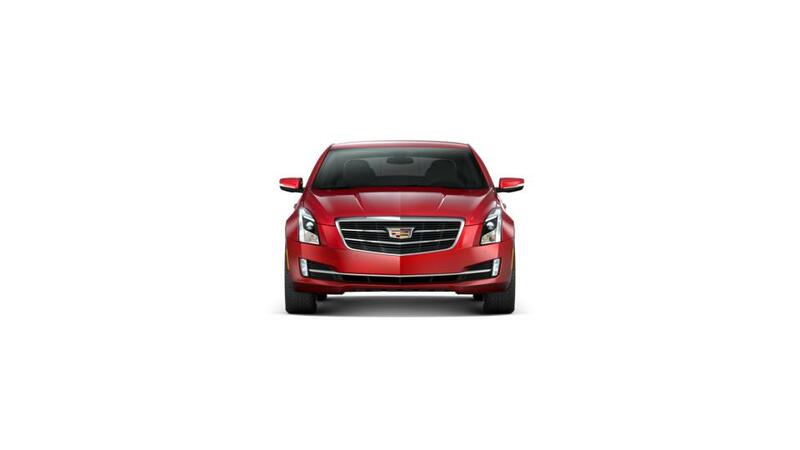 With aerodynamic design and powerful engine, the Cadillac ATS Coupe is sure to win everyone’s heart. Be it a drive on Tucson roads or in a hilly area, this vehicle ensures that your journey is comfortable and pleasant. Tucson customers, the responsive performance, impressive efficiency and refined gear changes make the Cadillac ATS Coupe a most stunning vehicle. The presence of advanced technology features, like built-in Wi-Fi hotspot and OnStar with 4G LTE, let you stay connected throughout your drive. Take a test drive in it at our Tucson Cadillac ATS Coupe dealership, Royal Cadillac. We also have a huge inventory of other new vehicles. Contact us today and we will gladly set up an appointment! You can refine your search by trim, mileage, pricing, and color. You can also make the most of the financing options that we are offering on the purchase of a new Cadillac ATS Coupe at our Tucson dealership.